The original mobile pancake catering factory since 1968! We do Breakfast. And we do it well. Hotcakes On The Go specializes in producing delicious hot pancakes at an astounding rate to serve thousands. We are best equipped to serve groups of 100 people or more and have options that ensure no one leaves hungry! 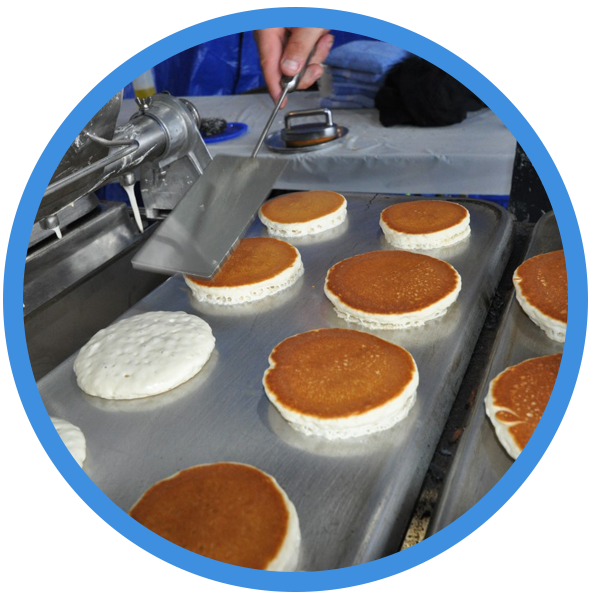 With state-of-the-art equipment and knowledgeable employees, Hotcakes On The Go can quickly and efficiently serve any size crowd. Large venues like county-wide breakfast-on-the-farm events, government department hosted events, community and fair events are our specialty. Start the work day off right and have Hotcakes On The Go bring serve breakfast right in your office. Celebrating a holiday party, company expansion, retirement, milestone or customer appreciation? 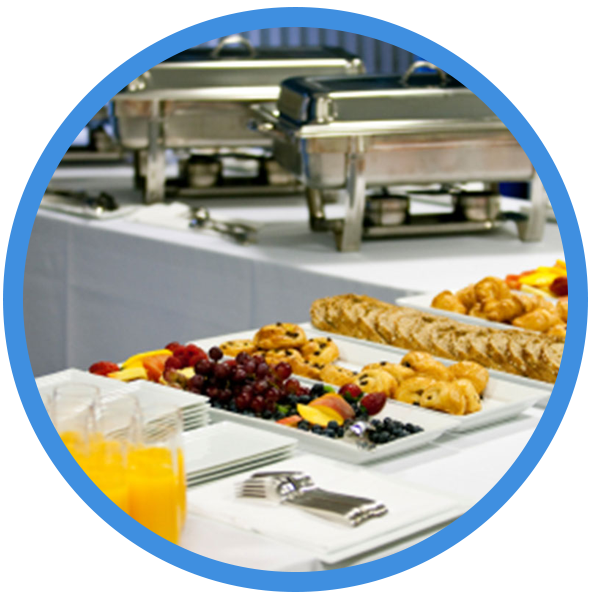 With customizable breakfast packages, we proudly have your next corporate event covered. Have an upcoming fundraiser but don’t want the hassle of making all the food yourself? Hotcakes On the Go offers you the opportunity to build an affordable buffet package that best suits your budget. We also pride ourselves in allowing your volunteers to lend a hand and remain a part of the event. We proudly fed 6,803 people. Join us this year! 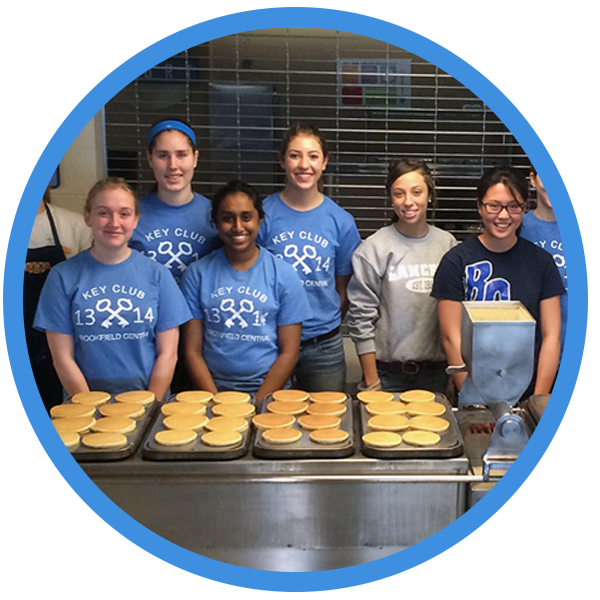 "Hotcakes On The Go came into our workplace and put on a fabulous breakfast. Food was hot and fresh and the people are nice and friendly! I would recommend you give them a try!" 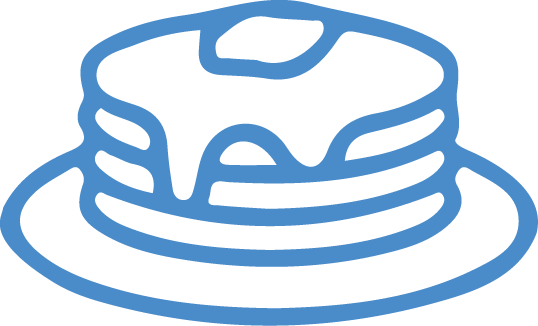 "I coordinated an event with Hotcakes On The Go. They were quick to respond to emails, showed up earlier than expected to prepare and left the place cleaner than they found it. Our staff was thrilled with the event and everyone loved the food. We will use them again in the future." "Aside from the quality of the food being AMAZING, the friendliness of the staff and their innovative techniques of creating the food went a long way to making their meal a very memorable and enjoyable experience." "Best breakfast ever!!!!!!!!!! Highly recommend!!!" That's a fact. And our goal is to make you happy! With years of experience comes a high level of efficiency and quality that you won’t find anywhere else. Hotcakes On The Go has a proud tradition of serving our customers high-quality, perfectly cooked breakfasts in a timeless fashion. While hotcakes are what we're known for, we also provide additional breakfast options for you and your guests to enjoy which can include scrambled eggs, Klement sausages, fruit and more! Whether we are serving 100 people or 6000 people, Hotcakes On The Go is committed to absolute customer satisfaction. It is our mission to have every breakfast we cater run smoother as syrup. Have Hotcakes On The Go cater your next event to make it a success!